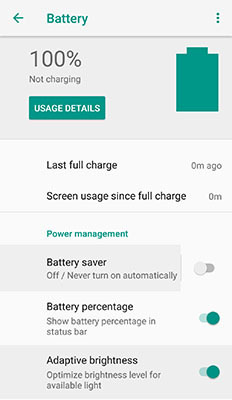 "Charging" is only displayed if device is connected to a charger and the time to full charge is being calculated. After a few minutes, the time to full charge will be displayed. From Battery, tap the Usage details to view Advanced battery usage status. 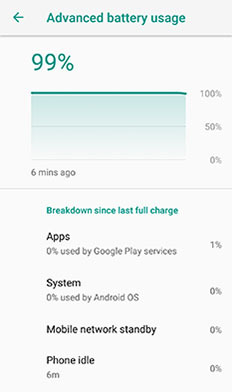 View the Advanced battery usage details.